The Association of Health Care Journalists (AHCJ)-National Library of Medicine (NLM) Journalism Fellows program—now in its tenth year—brings journalists to NLM for four days of training to enhance their use of some of the Library’s health information resources, such as PubMed, Genetics Home Reference, ClinicalTrials.gov, and MedlinePlus. The program began in 2009 to assist the professional development of health and medical journalists by improving their ability to integrate NLM’s information resources within routine reporting, said Rob Logan PhD, who has coordinated the AHCJ-NLM Fellowship program for NLM. AHCJ annually selects the Fellows while the selection of topics and faculty for the overall program is a collaboration. The 2018 AHCJ-NLM Fellows also received briefings about health care issues, such as health disparities and aging. For the fifth year, the Patient Centered Outcomes Research Institute updated the AHCJ-NLM Fellows about pioneering health care issues, such as patient engagement and clinical effectiveness research. The program occurred between May 15-18, 2018. In addition to NLM, the National Cancer Institute, the National Institute on Aging, and the National Institute on Minority Health and Health Disparities provided faculty for this year’s program. Other NIH agencies, such as the National Institute of Allergy and Infectious Diseases, the National Institute of Diabetes and Digestive and Kidney Diseases, and the NIH Office of the Director, participated in previous years. Three of the 2018 Fellows cover health and biomedicine for national publications. A Canadian journalist joined the Fellows for the second time in the program’s 10-year history, and a Native American health journalist participated for the first time. 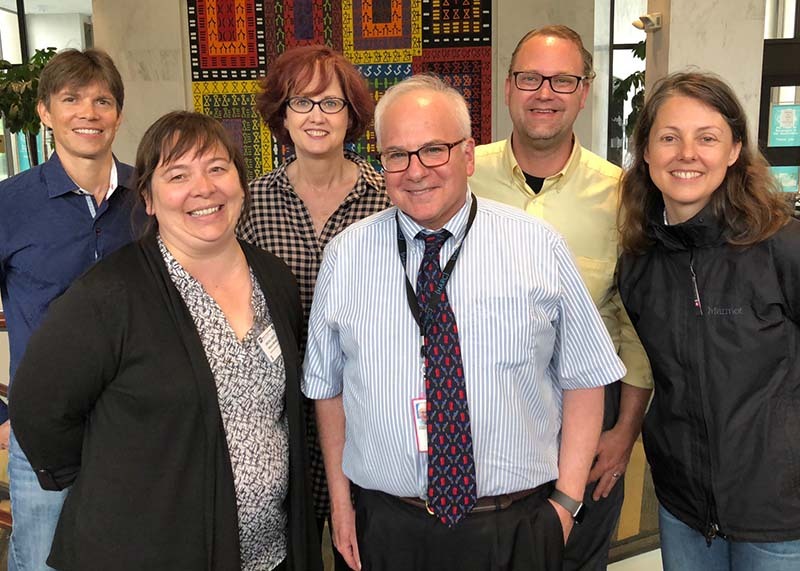 “NLM is proud that the program’s alumni have integrated health informatics resources into their health news reporting and editing,” Logan said. The program has cultivated a critical mass of broadcast, print, and internet journalists from across North America who are knowledgeable about NLM’s and NIH’s health information services. “AHCJ is pleased to participate in a program that contributes significantly to the professional development of health journalists,” said Len Bruzzese, executive director of AHCJ. May 30, 2018 in Programs & Services.